I have decided today to commence searching for somewhere permanent to live. This shabby hotel is draining my sprits and I cannot countenance staying here much longer. As Elizabeth seems unlikely to return from India for the foreseeable future I shall find a flat, if possible overlooking the front – perhaps with a small garden. Although I never considered myself a gardener I found in India that I missed my patch of green. It was impossible to cultivate any English plants in Delhi and no-one does their own gardening – there are teams of native gardeners to do all that. I should like to get my hands dirty with good English soil once more and feel I have done an honest day’s work. I went out this morning to purchase Elizabeth’s socks and chest-rub, and to visit the letting agency – a most disagreeable experience. From my days at the bank I recall Barkers Lettings as a rather genteel place where landlords of the better type sought tenant’s of the right class. Although outwardly the same the place has changed beyond recognition. Old Mr Barker, it seems, passed on in 1946 and with no successor to take over the business was sold as a going concern by his widow. The new proprietor seems most disreputable – his name is Hopkiss and he wears a light grey suit with wide lapels, a black tie with white patent shoes – and no hat. The office decor, too has changed. Where Barker once sat behind a mahogany desk with green leather inlays and brass handles Hopkiss contents himself with a cheap grey war surplus desk. Sensing my military bearing, no doubt, he tried to convince me it was from Churchill’s war office. 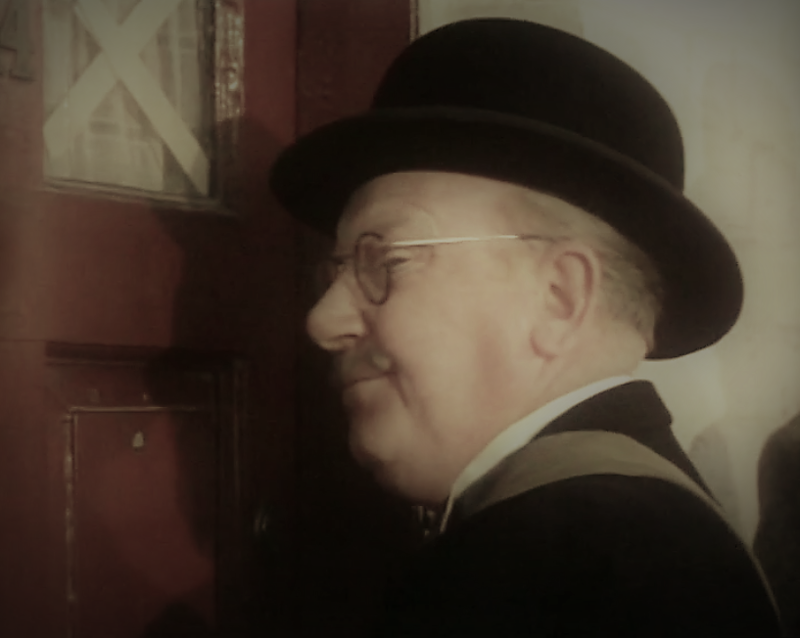 However when he opened a draw I distinctly saw a label proclaiming it ‘Property of the Stationary Office’ – I somehow doubt that Winston ever dropped in to count the paperclips. It seems that there is only one flat available on the front at present and Hopkiss tells me there are unlikely to be more – and I’d better ‘take it quick cos it won’t last long at that price’. I have fixed to see it tomorrow at nine-thirty. Then on to Woolworth’s for Elizabeth’s socks and the Chemist for the chest-rub. This entry was posted in diary on January 13, 1948 by wolAdmin.